Hooray! The USHL released the 2014-15 regular season schedule today. 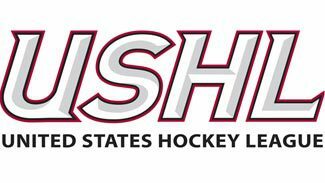 Click here to read the official press release from the USHL. Click here to see the 2014-15 season schedule for the Lincoln Stars. Just like in 2013-14, the Stars will play 32 games at home next season and 28 on the road. More on that odd number later on in this article. The Lincoln Stars will open the 2014-15 regular season at home on Friday, September 26th against the Tri-City Storm. Looking forward to that game at the IceBox already. Less than 80 days away! In the first half of the season (30 games), the Stars will play 16 games at home, and 14 games on the road. In the second half of the season (30 games), the Stars will play 16 games at home and 14 games on the road. The 32 games at the IceBox consist of 17 Friday night games, 10 Saturday night games, 3 Tuesday night games, 1 Wednesday and 1 Sunday night home game. The Sunday (10/5/14) home game against Waterloo is the first Sunday game at the IceBox since October 19th, 2003 when the Stars beat Waterloo by a score of 6-1. The Stars will play at the IceBox on Halloween (Friday, October 31st) against the Waterloo Blackhawks. The Stars will be on the road on 12/31/14 in Waterloo, IA against the Blackhawks. The annual New Year's Eve game in Waterloo is becoming a bit of a tradition, unfortunately. The Stars will be at home on Wednesday, November 26th (the day before Thanksgiving) against the Cedar Rapids Roughriders. On Thanksgiving day, Lincoln will be on the road in Sioux City, IA to face the Musketeers. The Stars will play four weekday (not counting Friday) games at home: vs. Des Moines (Tuesday 11/11/14), vs. Cedar Rapids (Wednesday 11/26/14), vs. Tri-City (Tuesday 3/10/15), vs. Omaha (Tuesday 3/31/15). The Stars will play 7 of their first 10 games of the regular season at home at the IceBox. The longest home-stand at the IceBox is 7 games (late January into February). The longest road swing for the Stars is 4 games (occurs twice during the season). Back-to-Back games against the same opponent occur a whopping 10 times during the season. Although the Stars play every eastern conference team twice in 2014-15, some of those teams will not visit the IceBox. Conversely, the Stars will not visit every eastern conference city. Eastern conference teams we will not see at the IceBox during the 2014-15 season are Youngstown, and Green Bay. Eastern conference teams the Stars will not travel to for 2014-15 are Muskegon, Bloomington, Chicago, and Ann Arbor (Team USA). Lincoln does not have any stretches where they will play three games in three consecutive nights. That's down from 3 last season, so that's definitely good news. The Stars will play 42 games against Western Conference opponents, and 18 games against Eastern Conference opponents. The 18 games against eastern conference foes is up from 16 games last season. As I mentioned above, for the second straight season, the Stars will play more games at home than on the road. How did that happen? Well, those two games were "relocated" by the league after an agreement was made between the Stars and the Lumberjacks and Steel. Instead of a road trip to Muskegon and Chicago next season, the Stars will play those two games at the IceBox. Those four points could be huge at the end of the season when teams are jockeying for playoff position. But to get those four points you have to take advantage of home ice and win the two games. One big positive of the schedule is the lack of home game conflicts with the Nebraska Huskers home football schedule, and the Huskers home volleyball schedule. I looked at both of those Husker schedules, and as far as I can tell, there is only one conflict. Just one. That takes place very early in the season on Friday, October 3rd when the Husker volleyball team plays at Devaney. Other than that lone game, no conflicts. Props to the Stars front office for that one. At first glance, I like this schedule quite a bit. It's no secret the Stars will be a very young, and somewhat inexperienced club to start the 2014-15 season. Having 7 of the first 10 games at the IceBox should allow some of those younger players to build confidence playing in front of the home crowd. I also like the fact that the Stars will not play any back-to-back-to-back games. Those are brutal stretches, and the Stars have never done very well in those third games. I doubt you'd find too many USHL teams that play well in that third game, however. It's great that the Stars worked around the Nebraska football and volleyball schedules to avoid any parking nightmares at the IceBox. We can deal with only one conflict with the volleyball team. Okay, I'd like to hear from you now. Your thoughts on the new schedule? Start planning those road trips! Happy to see we have 32 home games again....never been a big fan of the Tuesday games...when you have to wake up early to go to work the next day...I love that they schedule around university games...so happy we only have to deal with that once this year...yeti I was wondering if you know what changes they are making to the ice box this year? not too crazy about the Sunday game, but glad there is just one of those. i wonder why they schedule it like that.. as you said Yeti, there hasn't been a Sunday game at the Ice Box since 2003. kind of weird, especially that early in the season. i also noticed there is a game the Saturday after Thanksgiving, which normally there aren't any home games Thanksgiving weekend, just the Wednesday night before Thanksgiving. other than that, the schedule looks pretty good. it's nice to have our first few games at home. it's a little strange that the number of home games are pretty much split evenly down the middle for the first and second halves of the season. typically there are more home games in the second half. also nice to know that there aren't many conflicts with football/volleyball games. i was surprised to see the schedule out this early. normally i start seeing people asking about it and we get impatient, but this year it was released pretty early.